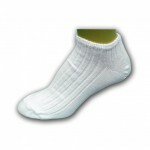 Home / Children's Socks / Crew Fashion Socks per doz. Variety is the spice of life. If you’re not looking to simplify your life with a black or white sock and want to get noticed these beauties are for you. You’ll get a variety of trend setting styles that will fit your mood of the day. Color: Assorted colors and patterns.